Jake Douglas, a Grade 11 student at St. Peter Catholic Secondary School, is conducting a survey of trail use in the Peterborough Parkway greenspace corridor as part of his participation in the Canadian Geographic Challenge. The Canadian Geographic Challenge is a national competition for students aged 10 to 19, testing all aspects of geographic knowledge through online and written tests, fieldwork, and a live game-show-style contest. Douglas has previously competed in the category for ages 12 to 16, reaching the final round in Ottawa for the last three years, finishing second in his Grade 9 year. He has now moved on to the top age group of the challenge. Through an online test he has made it to the Top 20 nationally, a stage in which competitors must conduct fieldwork and collect data on a geographic topic in their community. The top four will move on to represent Canada at the 2019 International Geography Olympiad in Hong Kong this July. 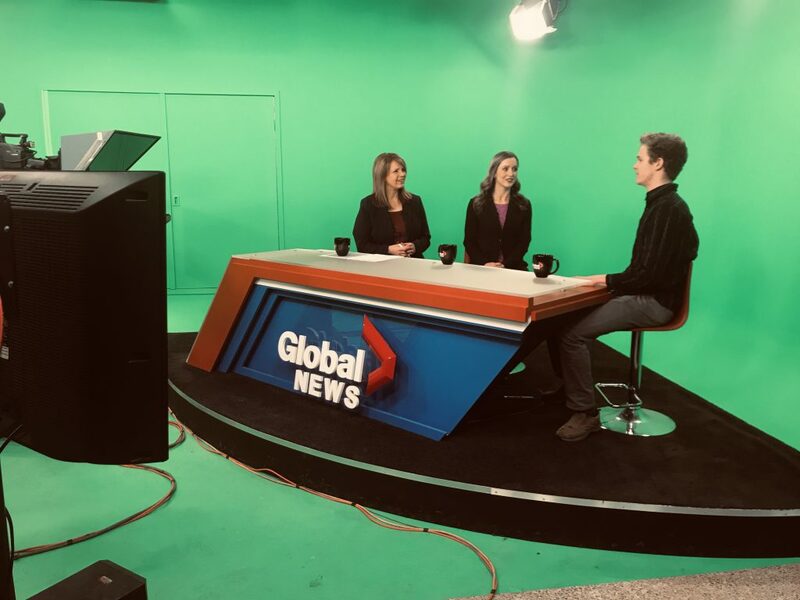 Douglas appeared on the CHEX Newswatch morning show on Friday, April 5, 2019 to talk about his field work and Global News caught up with him on the trail as he conducted his survey.